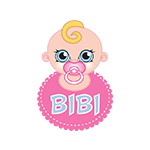 TITOT is a Polish brand, established in 2014, which offers original, high quality clothes and accessories in colorful and fashionable designs for babies and children. All of our products are hand-made in Poland using the high-quality fabrics imported from the USA. Thanks to our international online marketplaces, TITOT goods are sold and delivered to countries all around the world. Through selective marketing and distributor partnerships, we are constantly expanding our sales reach both domestically and abroad.